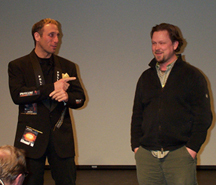 World Premiere of “polluted” at the Local Focus 4 Film Festival! 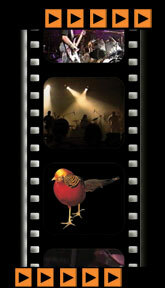 See Pics - Trailer - Festival Updates and more!!!!! From the Dragons Den to the world premiere of “polluted” – Dik Lee leads Phylum MVM to the Local Focus 4 Film Festival, the first of many festival appearances up and coming in the near future. 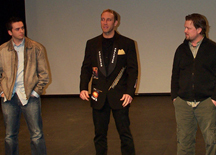 “polluted” was inspired by a true story and grapples around intense social, global, political and environmental issues. Check out Dik Lee at the Niagara Music Awards! SCREAMING BEAVERS® NOMINATED FOR THE NIAGARA MUSIC AWARDS (NMA) AGAIN! 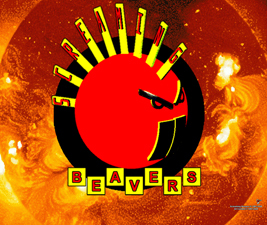 Screaming Beavers® again! 3 times nominated at the Niagara Music Awards (NMA). “I’ve been working hard to establish marketing and a network for the band over the last year to support the 6th studio album slated for release at the end of 2011 or early 2012 and being nominated for the Niagara Music Awards is an excellent enhancement to that effort.” – says Dik Lee (front man and owner of the Screaming Beavers® franchise). The Niagara Music Awards ceremony is being held on Tuesday, June 14th, 2011 at the Frank Doherty Arena in Thorold. New Release: "The Adventures of Plinko"
“We went into the Dragons’ Den with guns blazing and the Dragons started freakin’ out! Now you get to see the aftermath on CBC!” - says Dik Lee – CEO and President of Altius Games® Inc. & President of Phylum® MVM. Phylum® MVM and Altius Games® Inc. team up and were one of the fortunate to be selected to pitch their business concept at the CBC Studios in the Dragons’ Den. Now it has been finalized by the producers of Dragons’ Den that the show will air on CBC.